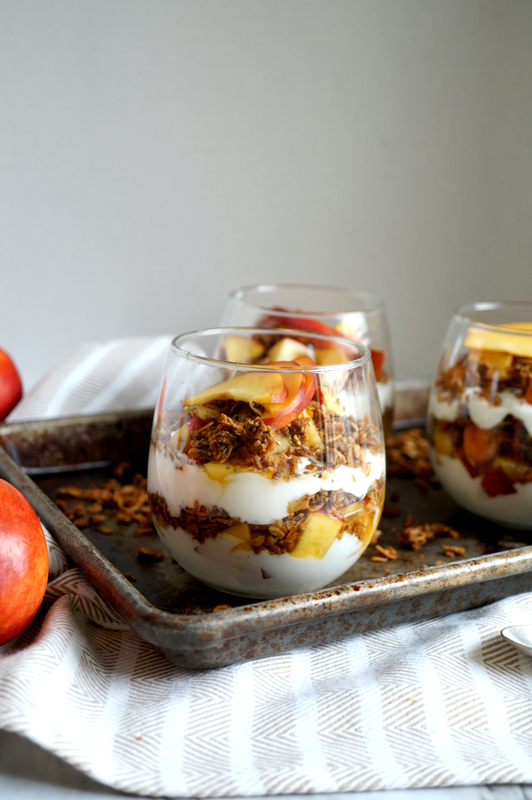 These Peach Yogurt & Brown Sugar Granola Parfaits are simple but delicious! 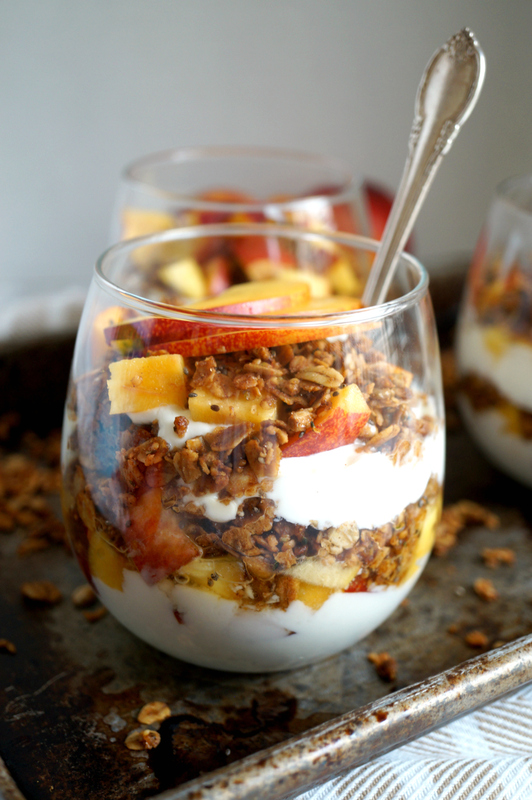 Fresh juicy peach chunks are layered with creamy yogurt and a crunchy homemade spiced granola. Hi hi and happy Wednesday! 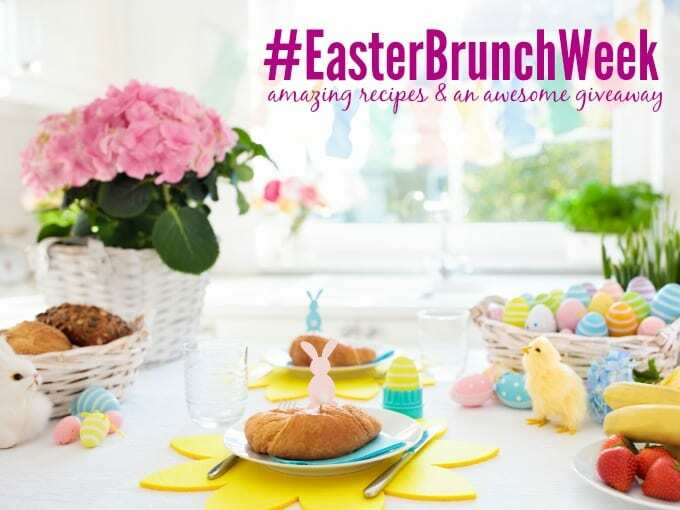 Welcome to day three of #EasterBrunchWeek! Today’s breakfast treat is something that (I think) often gets forgotten about. The humble yogurt granola parfait is a favorite for when you have no other options, like at the airport, or gas station, or if you’re at a fast food place looking for the lonely healthy option. BUT it doesn’t have to be this way! 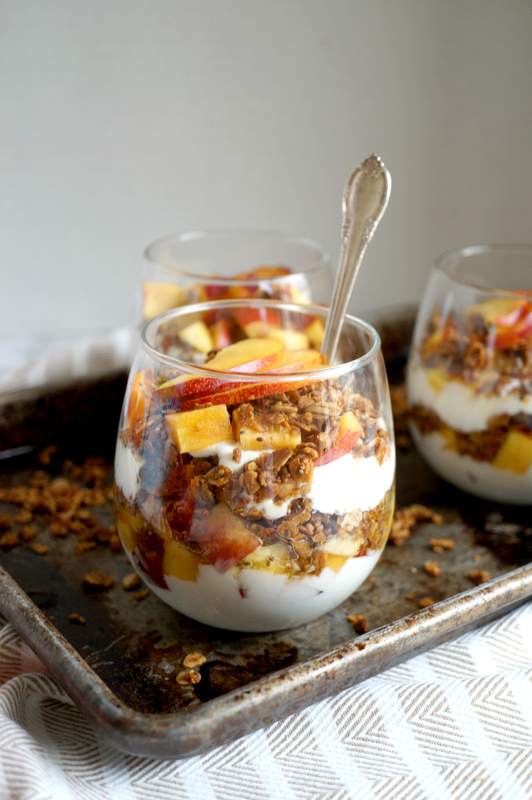 These Peach Yogurt & Brown Sugar Granola Parfaits were shockingly delicious. Like… I’m obsessed. Why aren’t we making yogurt granola parfaits at home all the time, y’all? These things are amazing! The star for today’s recipe is creamy, dreamy, delicious Stonyfield Organic Yogurt! 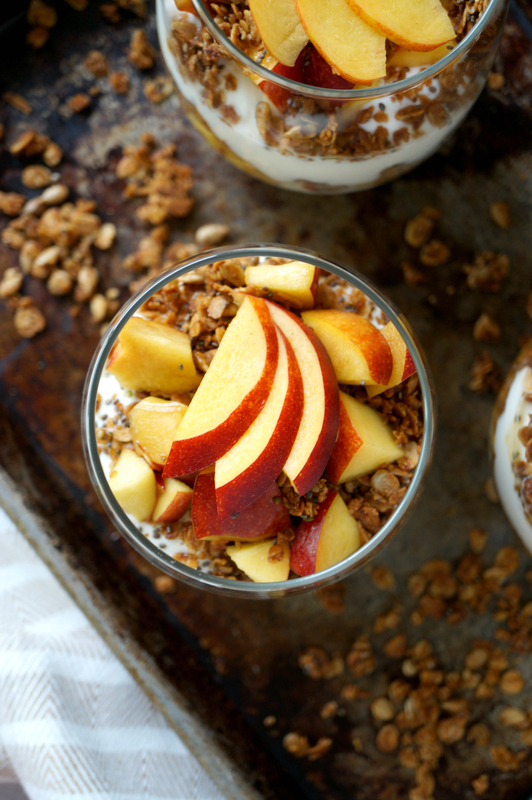 I combined their original plain yogurt with juicy chunks of fresh peach and a super easy brown sugar granola for the ultimate breakfast treat. 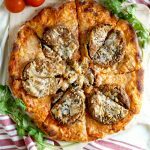 It’s relatively healthy but that combo of creamy, crunchy, and juicy is amazing. Seriously, don’t sleep on the good old granola parfait like I did. It’s worthy of being reintroduced into the regular breakfast & snack rotation. 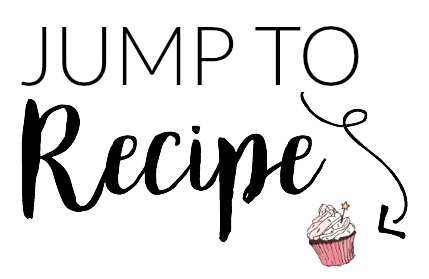 So there are a couple of approaches you can take for these brown sugar granola parfaits! If you’re making them for a crowd, you can either set out all the components and have people make their own for maximum granola crunchiness. OR – you can prepare ahead of time which will soften the granola a bit (think like oatmeal texture but not as mushy). 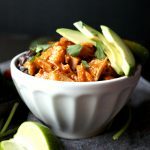 If you’re gonna go with the softened route, I do recommend sprinkling a bit of fresh granola on top right before serving so you still have a bit of the crunch! 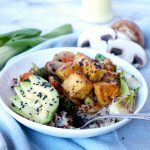 Not into dairy? Lucky for you, the granola is already totally vegan! Simply sub the yogurt for your favorite vegan-friendly yogurt instead. First, prepare the granola. Preheat oven to 325F and line a baking sheet with foil. In a microwave-safe bowl, combine the coconut oil and agave syrup, and heat until both are melted and smooth. Add in the rest of the ingredients for the granola, and toss until everything is evenly coated. 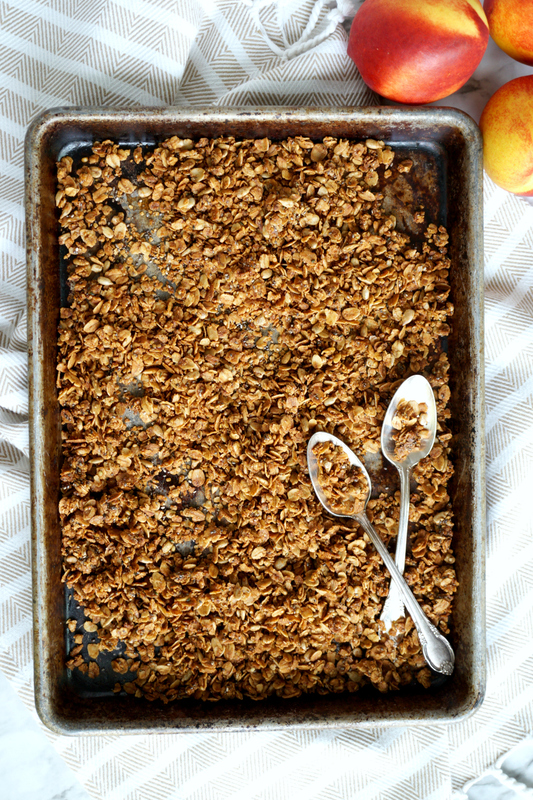 Spread the granola out on the prepared sheet, and bake for 30 minutes, mixing every 10-15 min. While the granola cooks, prepare the peaches. Place the diced peaches in a large bowl, and mix in the brown sugar and lemon juice. Set aside until needed. When granola is cooked, let cool to room temperature before assembling. 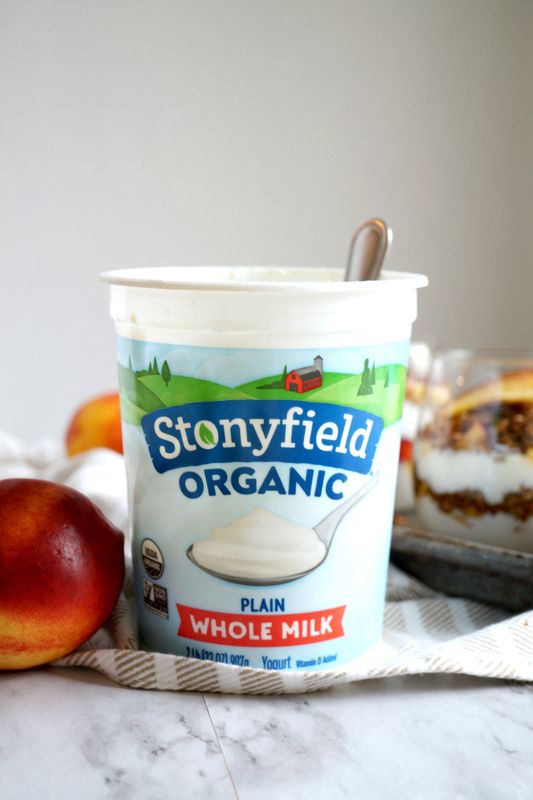 To assemble, spoon some Stonyfield Organic yogurt in the bottom of a cup, and top with some peaches and granola. Repeat the layers, and then repeat to create 6 cups total. 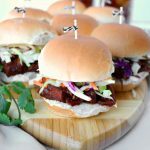 Serve immediately, or refrigerate until needed. I love peaches and get really excited when I see them in dishes. 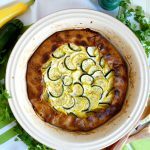 This looks like a beautiful light breakfast and perfect for a busy morning! What’s not to love about this?!? 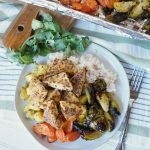 Holy moly I’m getting hungry reading your post!